Decision making processes are often difficult and come with much internal debate. Factors such as cost analysis, time commitments and feasibility take precedence in everyday life. Granted, most spa owners need to make snap decisions on a daily basis regarding clients and business. Unfortunately, small day spas do not have the vast resources and retail display areas that the large chain stores have, thus retail managers need to be thoughtful in spa offerings. Making adjustments in the way of retail offerings by using the power of three may help drive business and increase revenue. By thoughtfully choosing three facial product lines to carry, a spa will offer the versatility needed without overwhelming clients, which streamlines the decision-making process at checkout and increases overall revenue. Finding the right retail mix is often a matter of coordinating the right vendors to appeal to a specific demographic. Clients’ collective needs should be met, but a spa should only offer enough variation to meaningfully represent its position. Take the following questions into consideration while narrowing retail offerenings to three skin care lines. What are you hoping to convey to your clients, and how does this tie into their demographic? Do your clients seek out socially conscious, organic lines in recyclable packaging? Or do they look for active ingredients to combat the signs of aging? Would you prefer a line that is time-tested or are your more apt to utilize a smaller company that focuses on using a specific type of technique for a niche market? From there, tailor it even more depending on your demographic and treatment protocols. Do your clients require products with brightening, acne or mature skin benefits? Do you offer specialty services for adolescents that you would need to target with a specific line? After deciding what the spa needs, do a little sleuth work. Knowing your competitive market analysis of similar businesses in your geographic vicinity and what they offer is critical to knowing your business. Take the time to look online for local businesses that offer similar services and pricing that would draw from the same demographic as your establishment. Shop the competition by visiting their website, social media profiles and physical location. Determine the lines competitiors are carrying and the price points. Keep pricing in mind, as you may want an economical line, a mid-range line and a high-end line to meet clients’ financial needs. All three lines may represent a certain price range, but effectively address individual issues for your treatments and clientele. By utilizing three facial vendor lines, you can effectively represent your business and present clients with tailored, at-home treatment. Three product lines will not overwhelm clients, but still offer a bevy of options to customize an experience. After three lines are chosen, don’t feel you cannot use other vendors to supplement your lines to fully represent your business and assist driving retail sales. Using the power of three proves to be successful and easily manageable. 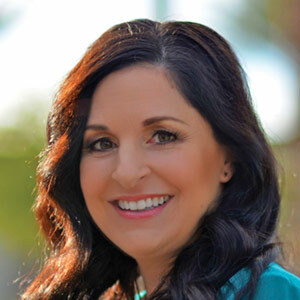 Jorinda Nardone is the director of spa operations at Green Valley Ranch Resort, a four-Diamond Resort Destination in Las Vegas. Her goal is to change the face of spa sales and marketing, while increasing revenue potential and offering exceptional customer service.